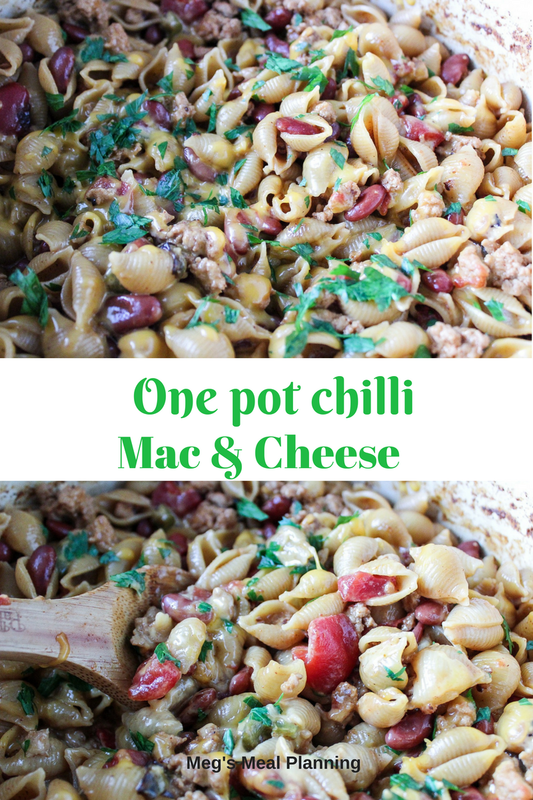 One-pot chili mac and cheese is the perfect comfort food and fall meal. Easy enough to make for a weeknight dinner or enjoy on a lazy Sunday. 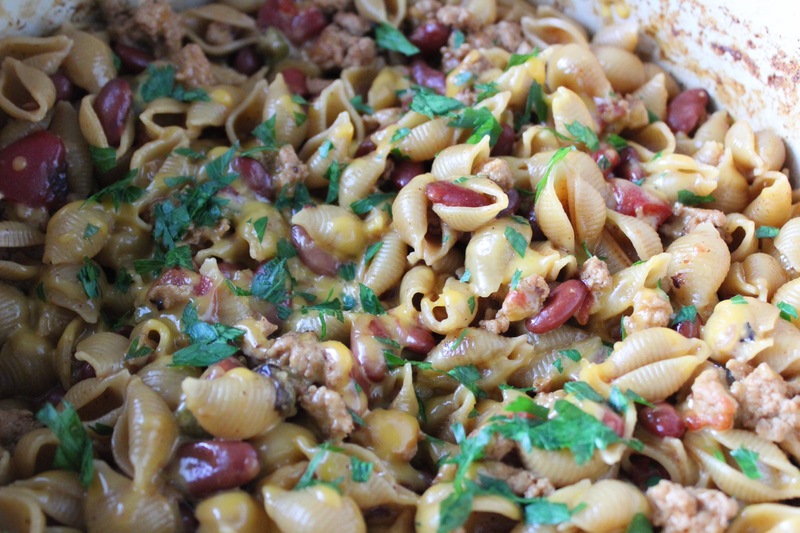 This version is not spicy despite the jalapeno pepper, so it’s great to feed to little kids, too. Next time, I’d love to kick it up a notch and use spicy sausage instead of the ground chicken. Recipes that are so versatile are the perfect addition for your “go-to” recipes. You can use whatever ingredients you have available in the fridge/freezer. The only ingredient I had to buy for this dish was the onion. Thanks to BJ’s Wholesale Club, I have two pounds of ground chicken in the freezer and my pantry is always full of pasta and beans. For more must-have pantry items and tips on “go-to” recipes, click here. Heat olive oil in a large stock pot over medium-high heat. Add in ground chicken, bell pepper, jalapeno pepper, onion, and garlic. Cook, breaking up the chicken, until no longer pink and peppers are soft. Stir in chili powder, ground cumin, paprika, onion powder, tomatoes, beef stock, milk, and beans. Stir and let simmer. Add pasta, cover pot, and allow pasta to cook for 9-11 minutes or until soft (If not using shells, check the box for cooking time). Remove from heat, stir in cheese until melted. Top with fresh parsley.